Their demonstrative composure in the end inspired skepticism. As Angela Merkel and François Hollande were asked about Greek Prime Minister Alexis Tspiras’ impending visit to Russia at the Franco-German Ministerial Council in late March, the German chancellor answered with a shrug: Both she and her French guest had also been to Moscow and were still European Union members. The French president played along, formulating his answer carefully with just a hint of pathos: Athens knows that Europe is Greece’s fate. And even Greek Foreign Minister Nikos Kotzias during his first visit to Berlin repeated his government’s conciliatory turn of phrase that Europe was quite clearly Greece’s favorite funder. All three ignored the elephant in the room in their own way – Tsipras’ Moscow trip, at once a seemingly normal inaugural visit and a Greek gamble on the Russian card. Shortly before the visit on April 8, the erstwhile composure yielded to serious threats: Martin Schulz, president of the EU Parliament, warned Athens against splintering away from Europe’s unanimous response toward Moscow’s behavior in the Ukraine crisis. And even the EU Commission appeared entirely put out just the day before Tsipras’ visit: all member states, they argued, must speak to EU trade partners with one voice. This was not, however, a reference to Greece’s hopes for a natural gas price rebate; instead, Athens desired exceptions for fresh produce under the Russian embargo, Moscow’s retaliation against the EU sanctions. 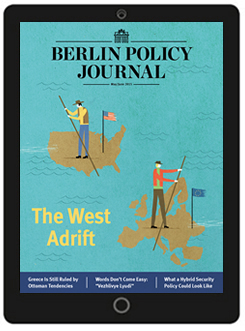 The Kremlin’s game – with its possibility of driving a wedge between EU states – was meant to expose the West’s sore spot to the world. Geopolitics is a concept that was locked up in Germany’s poison cabinet for a long time, certainly since the Berlin Wall came down. Thinking in terms of “political spheres of influence” and “economic spheres of interest” no longer fit into the view of a multipolar, interdependent world in which the United Nations would finally be granted the role long denied it before 1989. Whoever thought in such categories measured Europe as an equal in the coming game between the world (market) powers of the US and China only in combination with Russia in a Eurasian bloc. This explains why the German government’s statement at the start of the Ukraine crisis declared its association agreement was neither about securing geopolitical interests nor about pursuing some new “great game” strategy, but rather about creating a win-win situation for all participants: the EU, Russia, and Ukraine. Greece’s tactics forced the EU to recognize that it could no longer ignore real geopolitical challenges. As a reminder: Turkish Stream (like South Stream before it) is a Russian attempt to deliver Russian gas to the EU bypassing transit through Ukraine. At the same time, it is a perfect opportunity to undermine EU efforts to access Caspian gas reserves via a Transadriatic pipeline while bypassing Russia. Putin’s addendum to Tsipras that Moscow was not attempting to “convince or coerce anyone to do anything” sounded rather unconvincing coming from him. Brussels reacted to Moscow’s offer by pointedly stressing to Athens that such communal projects nevertheless had to meet EU guidelines – which South Stream had failed to do because of the monopoly Gazprom would then have enjoyed. Even as Tsipras has been careful not to cross out of bounds in his tactical dances in Athens, he is nevertheless playing a dangerous game: Simply hinting at the possibility of somehow circumventing the conditions of “the institutions” (above all the Troika of the EU Commission, IMF, and ECB) by hoping instead for aid funding from the Russian budget is itself a (nearly) singular act of European solidarity erosion at the time of its most significant security policy crisis since the end of the Cold War. 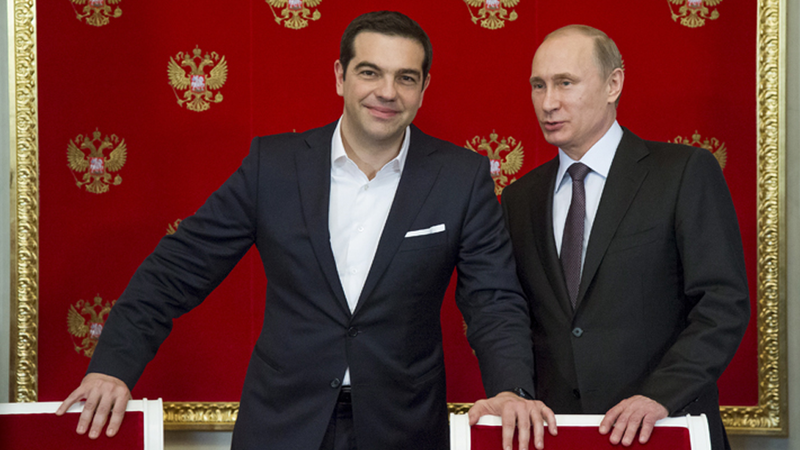 Would direct assistance loans to Athens have meant that Moscow would influence future Greek foreign policy? Especially considering the EU sanctions which required the unanimity of all 28 member states? Especially considering the NATO resolutions requiring the same? These are counterfactual “What if …?” questions, however, since clearly Putin did not have the money to invest in another broken economy. And whether or not the funding perspective for large infrastructure projects has the same effect of positioning Athens within the EU and NATO in the end remains to be seen. Why has the EU been unable to turn this situation on its head? Why could it not signal to Tsipras early enough: Good riddance? At the start of the year, then Foreign Minister Evangelos Venizelos told a Greek newspaper about a 2011 conversation he had with German Finance Minister Wolfgang Schäuble. In a long discussion at a hotel bar in Wrocław, Poland, the latter recommended his colleague consider a “friendly” Greek exit from the eurozone. Venizelos, according to his own version of events, was able to convince the German that even a soft return to the drachma would unleash dangerous consequences for the entire eurozone. Schäuble’s ministry responded to Venizelos’ anecdote relatively cursorily: Private conversations do not warrant public comment. At that time, it was mostly a matter of the economic repercussions of Grexit on the EU, the eurozone, and on Europe’s leader, Germany. That all changed at the beginning of 2015 as Brussels and Berlin followed the Greek elections in horror. At the start of the year, Grexit scenarios reappeared in German political debate. Given the populist leftist Syriza party’s announcement of its intention to end austerity measures, discussion of the scenario again became matter of fact. In short order, new thoughts appeared: The common currency area was more prepared today than it was in 2011 or 2012 for the Athenian crisis. The eurozone could no longer be extorted. In this way, the impression spread that Berlin was preparing itself for the worst-case scenario. The federal government found itself in a dilemma: It could neither dismantle the factual impression that it prepares for all eventualities, nor could it deny that the eurozone was now fortified with mechanisms minimizing the risk of contagion. Tsipras won the election, leading to a new round of bets on Grexit. Only shortly before the EU summit in March did the chancellor decide to extinguish the fires; in a policy statement read before the Bundestag in advance of the Brussels meeting, she quoted herself, “I have said repeatedly: if the euro collapses, Europe collapses.” That was the formula tossed around at the apex of the crisis in order to justify contentious rescue measures. Merkel became clearer, if not singular, in her message. Interpretations keeping Athens in the eurozone at any cost, she had determined, simply went too far: Tactically, because the chancellor would otherwise have put Tsipras in an advantageous bargaining position; and strategically, because she otherwise would have decreased her own room for maneuver. Tsipras’ late March visit to Berlin made clear what was significant to the chancellor on both levels. Tactically, she wanted to dispel the impression that neither Greece’s reform program nor an extension of the rescue measures was being decided in Berlin. It was not Germany, but rather the group of EU finance ministers who would decide about further loans. This message is – as contradictory as it may seem – enormously significant to her both domestically and within her own party. 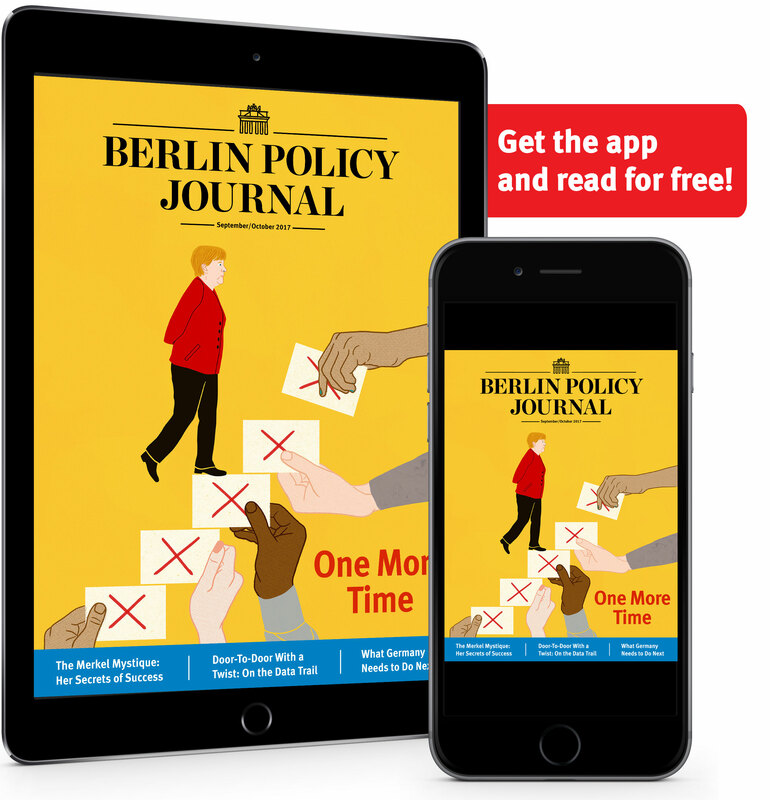 There is both an ever growing number of representatives within her own party that no longer want to bear the costs of euro bailout measures, as well as opinion polls in which a majority of Germans feels the same way. Yet Merkel has long ceased making fundamental political decisions on the basis of daily fluctuating opinions, instead keeping her own political legacy in mind. From that viewpoint, Merkel is chair of the “Europe party” – a “real European” who carries the idea of Europe in her political DNA. Her chancellorship will one day be measured by whether or not she was able to hold the European Union together in the face of its dual crises. So is 2015 then the same as 2012? If Athens falls, so falls the euro, and so falls Europe? Has the eurozone not come any further than this? Of all the theories and scenarios that have been played over repeatedly in Berlin’s finance ministry or Frankfurt’s European Central Bank, one has in the meanwhile been sifted out which three or four years ago would have spread panic: According to domino theory, Greece’s eurozone exit would have immediately led to the financial markets keeping a close eye on other heavily indebted southern European countries. Spain and Portugal would fall like dominoes. Should the chain reach France, the euro would be history. This theory has been shot down by the German government: Today’s ESM bailout fund has created a powerful pool of money to supply governments under pressure with cash – half a trillion euros’ worth. At the same time, the southern flank is nowhere nearly as vulnerable. They also point to bank stress tests. Without the domino theory, there are only two remaining: the ballast theory and the case study theory. The first is pushed by a handful of economists who argue that the eurozone must rid itself of the Greek exception in order to strengthen itself: Without the weakest link in the chain, the entire chain will become stronger – and the EU institutions will gain trust. It may be possible thereby to slow down both the costs of political repercussions of the crisis and the success of euroskeptic and anti-EU parties. 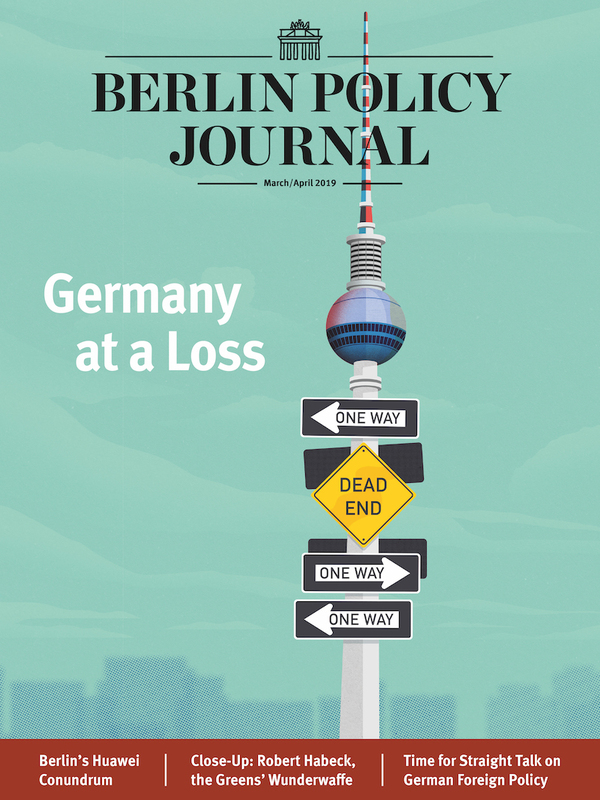 The lender countries would have to accept posting financial losses: Germany alone would be responsible directly and indirectly for approximately €65 billion. A large portion of that money would be gone for good. The German government considers this theory economically risky and overly apolitical: the bankruptcy of a eurozone member would have no historical model and no one could predict the consequences under real conditions. The desire to actually test this theory is low. Grexit would set a precedent. The case study theory contains multiple layers: a fiscal policy level, a European policy level, and a geopolitical level. Beyond all eurozone consequences, Grexit would have enormous consequences for Greece itself: a new currency, a devaluation in relation to the euro, struggling banks, bankrupt companies, even higher unemployment levels – in short, social unrest and political upheaval. Brussels would have to provide this EU member balance of payments assistance. And it is not as if the eurozone would be problem-free without Greece. As far as the eurozone goes, it would nevertheless be troubled by middle- and long-term concerns, even if the German government no longer had to worry about immediate contagion in the case of Grexit. It would no longer be the cause of an expanding crisis, but would nevertheless have created a precedent. What would happen when, for example, a short while later a Spanish bank goes under, the state steps in to save it, the eurozone intervenes – would the existing bailout mechanisms truly be enough? Grexit would mean that the formula “The eurozone is the eurozone is the eurozone” would no longer add up. What types of wagers would we see on the financial markets then? That Spain becomes the new Greece? That the eurozone will save Spain at any price, just as one said for a long time about Greece? The economic stability provided by the ESM would again be in doubt following the loss of political trust caused by Grexit. An Athenian exit from the eurozone would set a precedent in another sense as well. For the first time since the Treaty of Rome, the “ever closer union” and the consistent advancement of European integration would be thrown into question. What effect would this have this on the United Kingdom where a referendum on continued EU membership looms? David Cameron is hoping to renegotiate the EU treaties and kill once and for all the narrative of “ever closer union.” The European project would be derailed – and the German government holds no illusions who would be held accountable: within the EU, Berlin would be accused of lacking solidarity; the US, too, would see Germany as the culprit, as Washington from the beginning of the euro crisis held the view that Berlin should put its money where its mouth is and solve the issue once and for all. Unlike in 2011 or 2012, the dangers of Grexit are not fundamentally of an economic, but rather of a political nature. Volker Kauder, the parliamentary leader of Merkel’s CDU/CSU party, said back in March that no one could want to see Putin rubbing his hands at the spectacle of a collapsing Europe. This phrase was surely directed at those CDU/CSU MPs who are fed up with Athens. The domestic political calculus of his words, however, does not undercut the foreign policy analysis. “The world is watching us,” Merkel said in her introduction of the “If the euro collapses, Europe collapses” formula. Earlier many would have considered this phrase too dramatic, but she has stuck with it. Next to the EU institutions, the euro is the strongest expression of the European will to unite its peoples in peace. Following Tsipras’ Moscow trip, this phrase harbors an alarming timeliness.